This SKU will no longer inherit its inventory from the previous reference SKU that it was an alias of. If you need to remove the alias relationships for many of SKUs at once, you can use our Import / Export feature to do so. 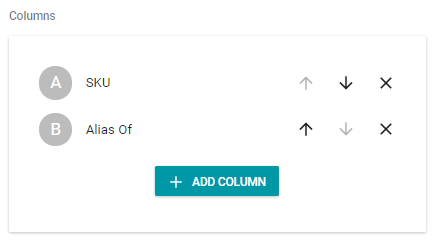 Create a new template using the columns SKU and AliasOf. 2. On your import file, you will enter the Alias SKUs you would like to unalias in the SKU column and leave the AliasOf column blank. 3. When you upload your file, you will need to check "Overwrite data in Zentail with blank data in the feed" in order to replace the previous AliasOf reference SKU with a blank, which will therefore remove the alias relationship. Note: Be careful with checking this box for other imports or if you include more columns on the template. We suggest using just these 2 columns when un-aliasing SKUs. 4. Once the upload is complete, verify that the SKUs are no longer aliases and that they are no longer inheriting the inventory from the reference SKUs they were previously an alias of.